Now that I've had one baby shower, everything feels so much more real. We are currently inundated with all things baby and I have another shower next month! The thing is that we could possibly be moving and we could possibly be staying where we're at, which make it hard to put together a nursery. The last thing I want to do is do all the work of putting one up and then have to take it down and pack it up. Also, the fact that we are TEAM Green has a lot to do with not yet starting on the nursery. Although we could do a neutral theme, I'd rather do a gender specific one. Another thing is that the baby will be in our room with us for at least the first month or two, so there isn't a huge rush to get the nursery 100% set up by the birth. The main thing I know we'll need will be a bassinet, since baby will be in our room for that time and a glider so I hubby and I can rock baby to sleep. In the meantime, here are some ideas I’ve come across for nurseries. I don’t know how I’ll ever decide! I'm open to suggestions as always! Tell me what you think! Which theme do you like best?? Thanks so much for stopping by and leaving such sweet comments! Congrats on the baby! How exciting! I love all the rooms, maybe the first one the most though. 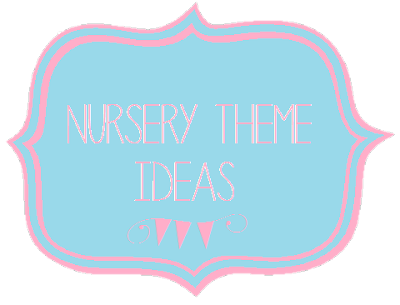 Check out "Dear Lillie" her blog has the most amazing nursery! Your absolutely welcome! Thanks so much for the well wishes! I'll definitely check out Dear Lillie, thanks for suggesting.